Fox News host Sean Hannity castigated the liberal-leaning magazine Slate on Friday for ridiculing his former colleague and co-host Alan Colmes the day of his death. Slate published an obituary on Thursday attacking Colmes, a former Fox News contributor who died earlier that day at the age of 66. Colmes was an outspoken liberal on Fox who co-hosted the show "Hannity & Colmes" with Hannity, a conservative television and radio personality, from 1996 until 2009. The two were good friends, and Hannity lambasted Slate on Twitter for its article. "Only mean soulless assholes could ever write and print something this viscious, cruel, and heartless," Hannity tweeted about Slate‘s comments. He also defended Colmes as a "guy that had a human level of decency and love and kindness and humor," according to Townhall. The Slate article, titled "Alan Colmes, Buffoon and Patsy, Was Fox News' Original Liberal Weakling," called Colmes' career "something less than morally reprehensible" but still "pretty gross." "Colmes was the most absurd, useless, and mocked television personality in America for many years, precisely because he was nice. In the context of Fox News, being a nice guy—and a ‘liberal' nice guy at that—meant being a buffoon, and a patsy. 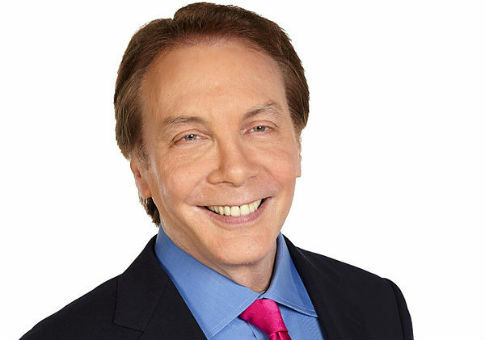 Colmes not only played the part to perfection—he defined it," Slate‘s Issac Chotiner wrote. Chotiner also lamented the political environment that Colmes created as a "cog in the Fox News machine." "We can mourn that Alan Colmes won't be around to watch the political era he, as an important cog in the Fox News machine, helped usher in; unfortunately, the rest of us have no choice," he wrote. This entry was posted in Culture and tagged Alan Colmes, Slate. Bookmark the permalink.